Newcastle were given a wake-up call on their return to the Premier League as they suffered a 2-0 defeat at home to Tottenham. The Magpies managed to contain Mauricio Pochettino’s men in the first half, but the game changed when skipper Jonjo Shelvey was dismissed for an idiotic stamp on Dele Alli. 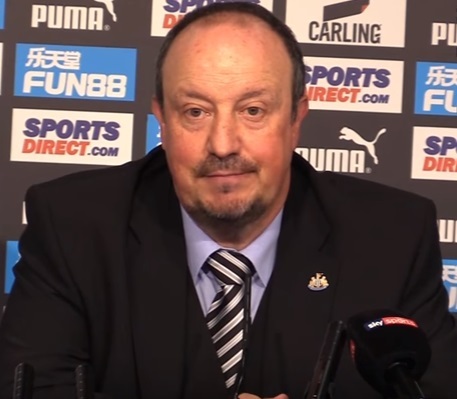 It’s easy to see why Rafa Benitez has grown frustrated over the summer period. His starting XI looks to be a combination of the same players who took the club down and Championship level players, and there are no real standout names from the handful of signings they have made. The Sun claim he is planning to bolster his ranks with the signing of Jack Wilshere, who has finally accepted he has no future at Arsenal. The midfielder has been told he is free to leave after spending a season on loan at Bournemouth. The England international was not even included in the squad for the Gunners’ dramatic 4-3 win over Leicester on Friday night, with Arsene Wenger suggesting he hasn’t fully recovered from the leg break he suffered back in April. Wilshere, meanwhile, is adamant that he is fit and has been training with the under-23s. The 25-year-old is one of a number of Arsenal players who have just a year left on their contracts, so Newcastle are confident they will be able to secure him for a knockdown price. A move to St James’ Park may be the best possible scenario for Wilshere. Newcastle may be preparing themselves for a relegation battle, but there will be few other clubs interested with the same history and prestige. It ultimately comes down to whether Benitez has the appetite to transform Wilshere back into the player he was when he was 17, and at present, it doesn’t look like he does. Newcastle lacked a game changer against Spurs. They could also have done with a sturdy presence in central midfield to stop the rampaging Mousa Dembele. Wilshere is neither of those things right now, and it looks to be a case of bringing in a big name to placate the fans rather than signing a player who will actually make a difference.